“When people say, ‘I’m looking for a unicorn,’ and I read the description, I always think ‘That’s Chita.’ She’s just one of those once-in-a-lifetime horses,” said Ashley Gubich. 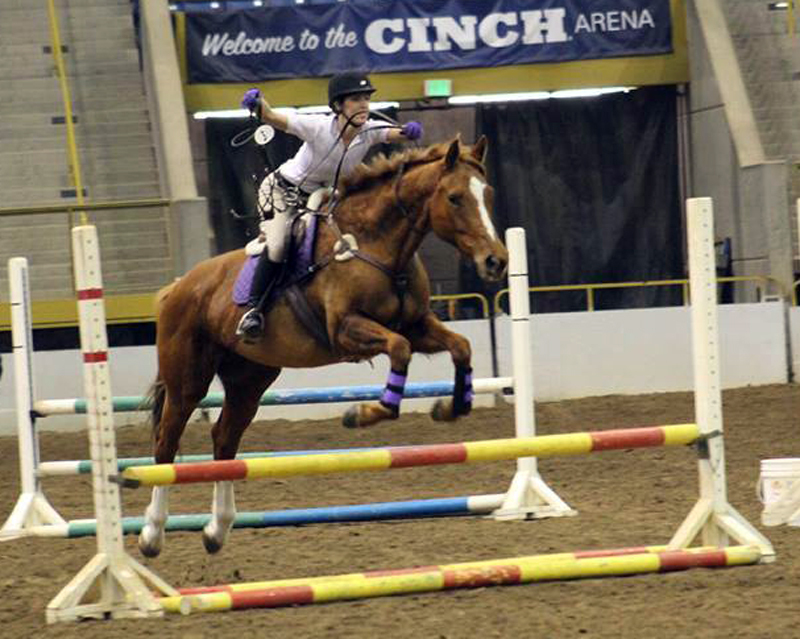 On March 12, Gubich and Churchita, a 6-year-old Thoroughbred mare (Churchhill—Slewita, Tsunami Slew) earned the title of Colorado’s Most Wanted Thoroughbred at the Rocky Mountain Horse Expo. To claim the win, “Chita” not only was ridden and jumped bridleless with Gubich aboard, but also demonstrated her ability to adapt to less experienced riders. “I had Chase, my 3-year-old son, ride her,” Gubich said. “Jonathan [Horowitz], who is the announcer at Arapahoe [Park racecourse] and is on the board at CANTER and is the announcer for the Retired Racehorse Project Makeover, rides with me. He learned to ride on Chita. For Gubich, it’s Chita’s cheerful willingness to go with the flow that makes her the ideal horse. It’s also what made her want to compete Chita in the Most Wanted Thoroughbred competition. Gubich, who runs a small riding school out of her Parker, Colo., farm, uses Chita in her lesson program. “She very easily could be my upper-level horse, but I don’t really actually get to ride her that much because everybody wants to ride her,” she said. “There are horses who are really talented but won’t tolerate someone who’s a real beginner, and then you have horses that are great with beginners but aren’t going to jump anything more that 18″. And she is this amazing combination where she’ll tolerate the most beginner rider, and she’ll tell them when they’re asking wrong, but she’ll never hold it against them. 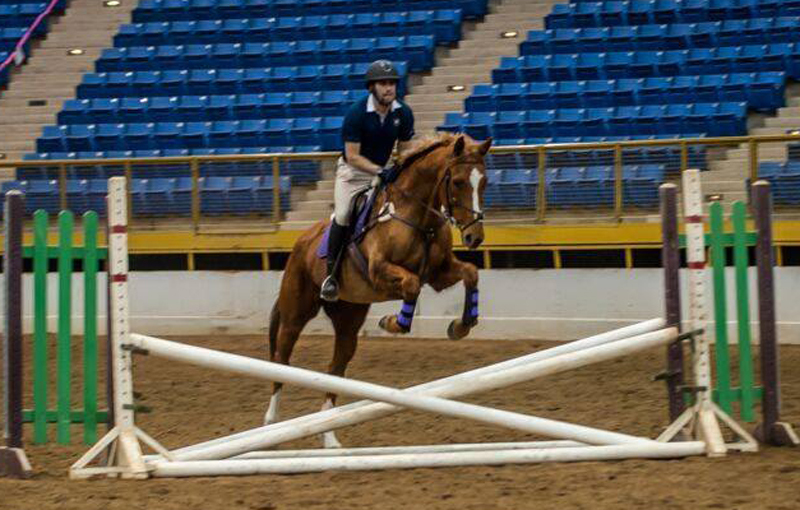 Gubich also retrains off-the-track Thoroughbreds for resale for CANTER Colorado. “That has kind of tempered my addiction of buying new horses, since I have new ones in all the time,” she said. 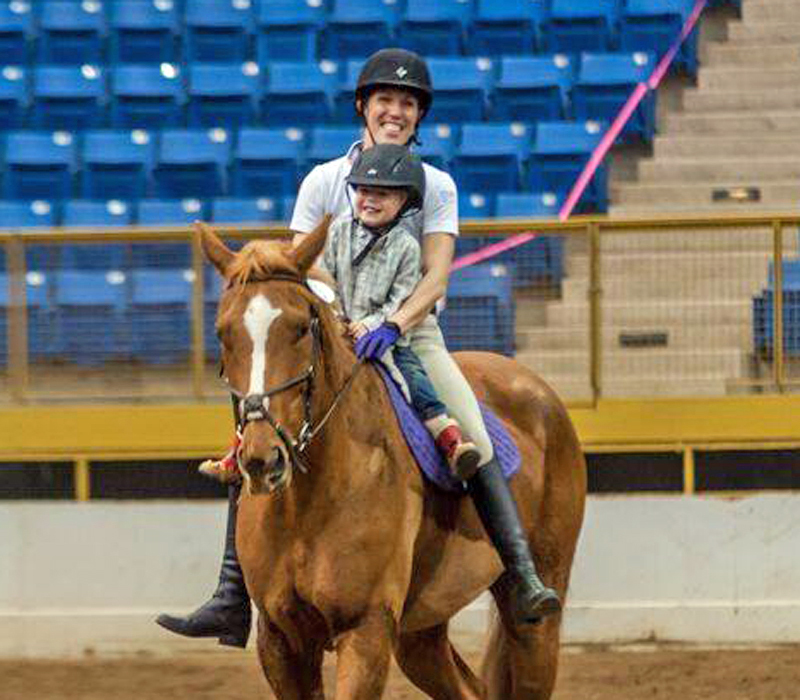 She found Chita through the CANTER Texas program four years ago. Then 3, the mare had trained for the track but never raced. “She caught my eye. I thought she was well put together and calm,” Gubich said. She bought the mare sight unseen. 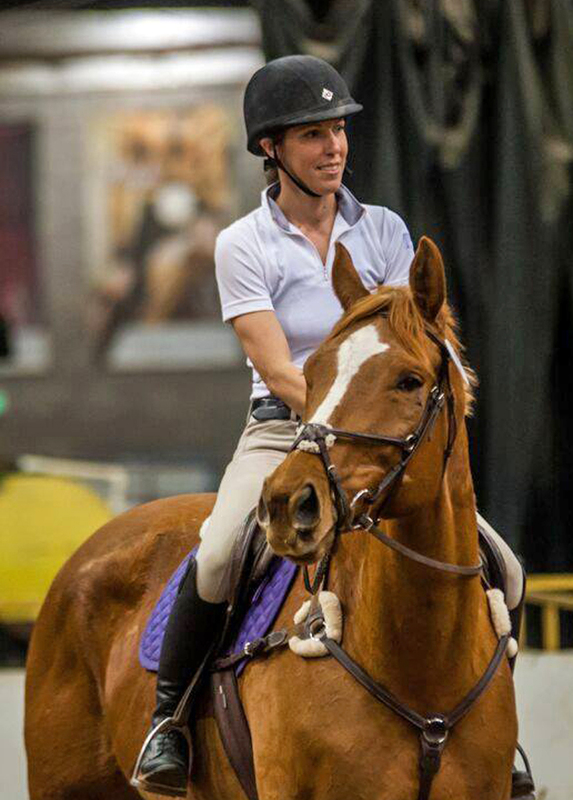 Gubich grew up eventing on the East Coast and found her way to Virginia as a young adult, working as a trainer. “I did everything from draft shows to the Arab circuit for many years. I worked with Chincoteague ponies, I did draft shows where I barrel-raced Clydesdales and then showed western pleasure and trail,” she said. 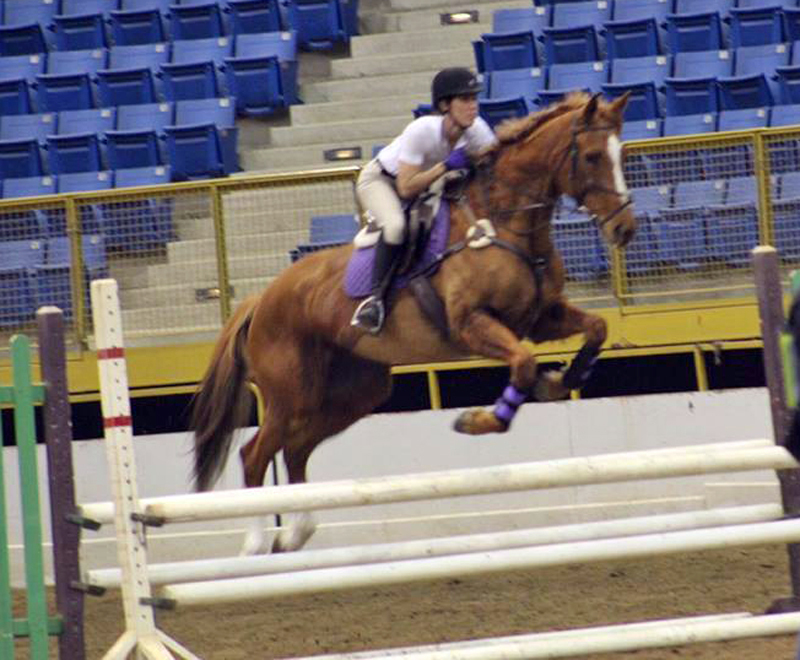 While in Virginia, Gubich also returned to her eventing roots, competing an Arab-Saddlebred cross up to training level. But she found her niche in bringing along young horses. In 2013, not only did Gubich get married, but she also moved across the country to Colorado. Her husband’s job took them west, so she sold her horses and packed up her business. Chita was one of the first horses she found in her search to re-stock. In 2013, Gubich also gave birth to her son, Chase, who is a full-on barn kid now, riding every horse he can and driving his electric Gator around the farm. “He sees me on a horse, he needs to sit on it and walk a lap around. He knows which horses he gets to ride,” she said. And Chita is on his list of mounts—he can trot her around and even jumps piles of poles. “People are always asking me why I’m not competing her because she’s so awesome. She can jump 3’9″ like it’s nothing,” Gubich said. “But I tell them, ‘Basically, she’s not even my horse.’ I like to think she’s the people’s horse. She is everybody’s horse as far as I’m concerned. I’d love to just have her myself, but then so many people would miss out on the opportunity to learn from her. She’s never, ever let me down. She’s done everything I’ve ever asked of her. That’s such a rare quality—to have the mind, the willingness and the ability.